Wood has become the latest organisation to sign the UK Armed Forces Covenant, a commitment to support the UK’s servicemen and women wherever and however it can, ensuring no member of the Armed Forces should suffer a disadvantage because of their service. Wood joins more than 2,000 UK organisations that have now signed the Armed Forces Covenant. Bob MacDonald, CEO of Wood’s Specialist Technical Solutions, attended a special ceremony to sign the covenant at Edinburgh Castle on June 28. The document was co-signed on behalf of the Ministry of Defence (MoD) by Commander Andy Poulton-Watt, SO1 Reserves Engagement, Scotland and Northern Ireland. Promote the fact it is an Armed Forces-friendly organisation. Proactively seek opportunities to share best practise, lessons learned and collaborate with other armed forces-friendly organisations. Have an inclusive and active UK Armed Forces Network Group with visible senior sponsors. Seek to support the employment of veterans and work with the Career Transition Partnership (CTP). Strive to support the employment of Service spouses and partners. Endeavour to offer a degree of flexibility in granting leave for Service spouses and partners before, during and after a partner’s deployment. Seek to support employees who choose to be members of the Reserve Forces, including by having a Reservist Focal Point accommodating their training and deployment where possible. Give employees the opportunity to raise money for Service charities in the workplace. Offering support to local cadet units, where possible. Aim to actively participate in Armed Forces Day and Reserves Day. The Covenant signing was organised by Highland Reserve Forces’ and Cadets’ Association and attended – along with the signatories – by the organisation’s Regional Employer Engagement Director Michelle McKearnon. 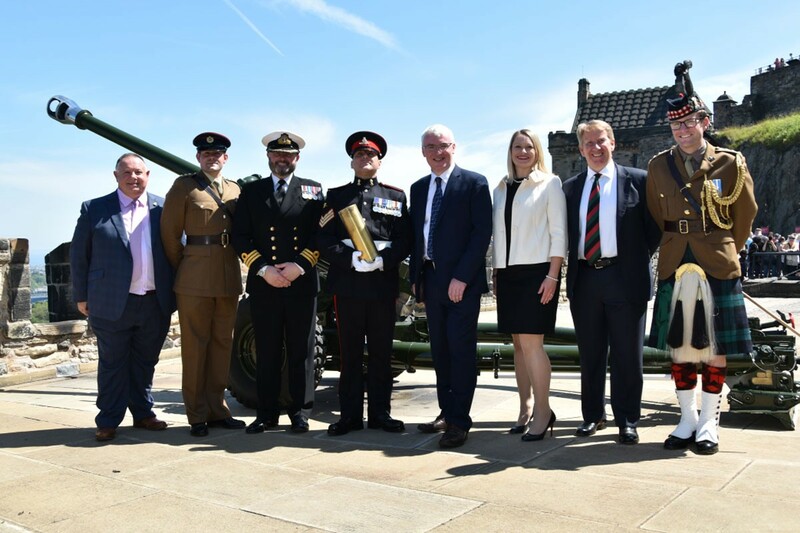 I am delighted that Wood has formally pledged its commitment to the Armed Forces community by signing the Armed Forces Covenant today at Edinburgh Castle. They are a multi-billion pound organisation who are key employers of reservists and veterans and their support is hugely appreciated. We are very much looking forward to working with them via our employer recognition scheme and thank them for the opportunities they are providing to our forces and ex-forces personnel. Also attending the signing from Wood were chief information security officer Malcolm Norman; integration governance lead Niall Raeper; operations manager – nuclear science & engineering Steve Evans and ethics and compliance project manager, Claire Winn. All ex-military, they served for a combined 62 years.